Are you looking for comfortable seats? We offer the perfect solution. 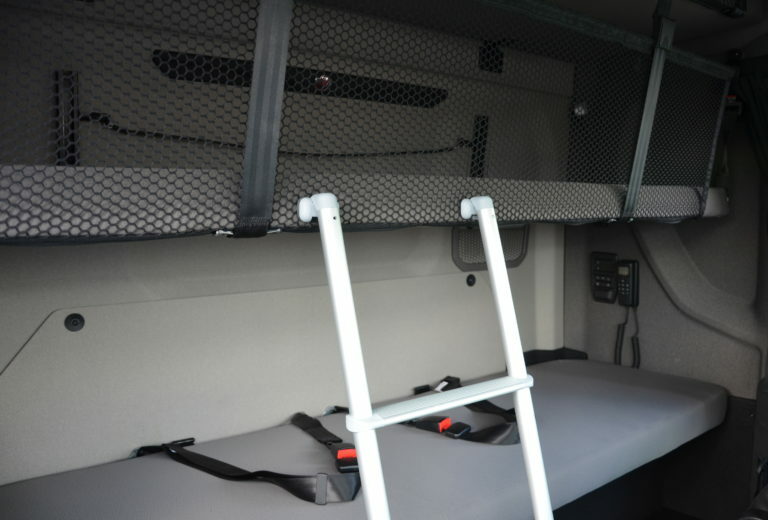 Depending on the brand and the type of cabin, we can provide your truck with 1 to 4 additional seats. We offer a choice of different types of seats. All of the seats ensure that the passengers can sit comfortably and have sufficient legroom. With this adjustment the original lower bed will be removed. The cabin floor is reinforced with a tested and certified construction frame. Because we use a fully tested construction frame as well as certified seats, passengers are assured of a safe environment. This also ensures a problemless admittion of the extra seats in most countries.